The unit occupies a good secondary location just off Tavern Street, which is one of Ipswich's primary retail thoroughfares. 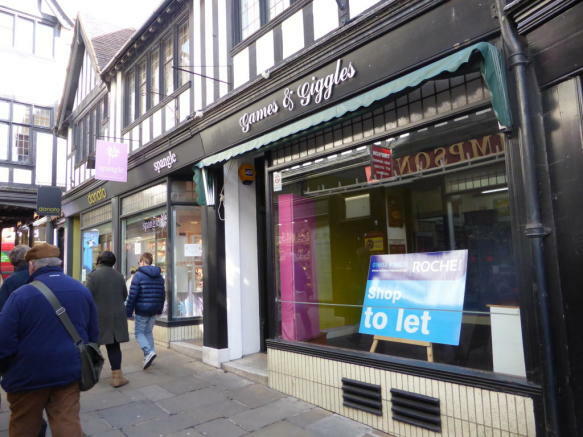 The premises itself is situated immediately opposite Timpson Shoe Repairs, whilst retailers in close proximity include Waitrose, River Island, Carphone Warehouse, Boots, etc. Buttermarket Shopping Centre is currently being extensively redeveloped and will house a new multiplex cinema with operators including Pure Gym, Prezzo, Coast to Coast and Cosy Club. Property reference 164785. The information displayed about this property comprises a property advertisement. Rightmove.co.uk makes no warranty as to the accuracy or completeness of the advertisement or any linked or associated information, and Rightmove has no control over the content. This property advertisement does not constitute property particulars. The information is provided and maintained by Roche Chartered Surveyors, Norfolk.